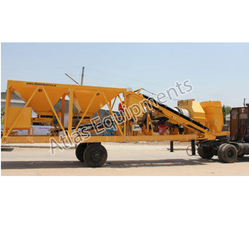 Prominent & Leading Manufacturer from Mehsana, we offer mobile asphalt plant and mobile asphalt drum mix plant. 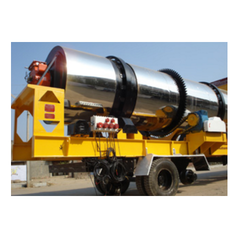 Our organization is instrumental in offering an excellent range of Mobile Asphalt Plant. The offered asphalt plant is manufactured by a team of proficient professional by utilizing excellent quality material and current technology in adherence with market prevalent norms. Offered asphalt plant is available with dry and wet dust collector for pollution control. These portable Asphalt Plants are truly mobile with kingpin, axles with pneumatic braking. These Mobile Asphalt Drum Mix Plants come prewired with junction box. With a thorough understanding of the relevant industry, we have been able to offer Mobile Asphalt Drum Mix Plant. The offered drum mix plant is manufactured using the highest grade basic material and advance technology. Our drum mix plant is used for those contractors who have space constrains. We offer this drum mix plant in numerous stipulations and can be customized as per the needs of the patrons. Ideal for jobs that require frequent site changes. Quick installation and start up. No or less foundation required. Dry and wet type of pollution control devices available. Components like bitumen tank, mineral filler, control cabin and pollution control devices are also mobile. Looking for Mobile Asphalt Plant ?